Resources to help you and your family safely work and play on the Internet. Privacy Revolution (from ALA): It’s time for Americans to take charge of their information privacy! Learn about the risks and rewards of technology and find out how to protect your privacy! This is movement of librarians dedicated to intellectual freedom. Led by the American Library Association’s Office for Intellectual Freedom and with the support and involvement of their allies, they are urging Americans to assert their privacy rights. Internet Safety Video and Guide: A video that shows the dangers and gives advice to parents and educators on Internet safety and how to protect your children. A printed resource guide offers details on what to do and where to go for help. Internet Safety: from the North Carolina Department of Justice: Information on Scams, Identity Theft, and Internet safety. Follow the links on the right side of the page for the information. 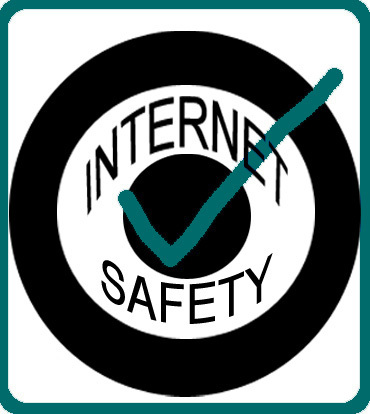 Internet Safety from KidsHealth: This website has sections for Parents, Kids, and Teens. It breaks down the threats from the internet for each group, and shows you how to be safe. A Parent's Guide to Internet Safety, from the FBI: A downloadable information packet just for parents with answers to frequently asked questions. Family Internet Safety: This website explains Internet filters and Parental Controls. It also reviews many of the popular filters on the market. Windows Live Family Safety: Help protect your kids online with this Free Microsoft Product. Limit searches, monitor and block or allow websites, and decide who your kids can communicate with in Windows Live Messenger or Windows Live Hotmail. This web page is for Windows XP, but if you have Windows Vista or Windows 7, you can still use the program - just click on the link for Vista/7!